British driver Peter Walker died aged 71 in Newton, Worcestershire. 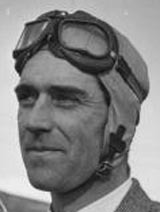 Based in Herefordshire Walker enjoyed success in both circuit racing and hillclimbing with ERA, entering four grand prix. In 1950 he entered the British Grand Prix sharing the drive with Tony Rolt, the following year he attracted attention finishing seventh in a 1.5 litre supercharged BRM V16 despite nearly baking alive from the heat from a cracked exhaust. He is best remembered for winning Le Mans in 1951 in a C-type Jaguar which he shared with Peter Whitehead. He retired from racing after a crash in an Aston Martin at Le Mans in 1956.